Blackburn is undergoing a professional resurgence. Often seen in the past as a commuter town, this is now changing. 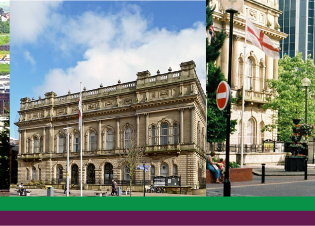 As part of the Pennine Lancashire Growth and Prosperity Plan, Blackburn has seen significant investment and will continue to do so, creating tremendous opportunity for all finance and accountancy professionals. The area itself has demonstrated a strong recovery from the recession with a 5.4% increase in employment outperforming the rest of Lancashire at 0.6% and the UK average of 4.9%. This is in part due to the ongoing investment programme. The recently developed £30 million Cathedral Quarter, where 2800m2 of new office space has already been completed is expecting a further 4500m2 phase. There is also money being pumped into the Blackburn Knowledge Zone. Traditionally the area has been steeped in manufacturing, and whilst this remains an important element, in terms of expanding, Blackburn is driving growth by widening its industry mix, particularly attracting higher growth, and higher value-added services. In fact, England’s Smart Specialisation Strategy identifies the area’s specialisms as nuclear and aerospace. However, the area is also benefiting from the growing technological transformation sector, with many companies and start-ups in the Big Data, Advanced Material/Nano Technology and Robotics sectors choosing Blackburn. What is encouraging for accountancy and finance professionals is that these industries often heavily rely upon their finance function. With growing companies and investment on the rise, so too are the opportunities within the finance profession. Businesses in the area demand the best talent and are prepared to invest in those skills and experience. In the last 18 months alone, RK Finance Professionals have seen a 22% rise in the number of senior level accountancy and finance vacancies registered, whilst RK Accountancy has experienced a rise of 16% in the number of transactional level accountancy roles registered. Interestingly this increase has been across both permanent employment and temporary/interim opportunities, another sign, if one were needed, of the vitality of the region. With house prices below both the regional and national average, coupled with an intensive house building programme and beautiful countryside, a vibrant town centre and leisure destinations all on the doorstep, Blackburn is establishing itself as a location where work/life balance for the accountancy and finance professional is high. But there is also another change. With the £40 million investment in the rapid bus transit system and £14 million in the Manchester train line bringing the city and Blackburn ever closer, it’s not just those who choose to live in Blackburn who are benefitting. The town is now seen as a destination area for finance professionals who want to move onwards and upwards within their career. It’s clear to see why Blackburn is becoming the envy of the region; investment programmes, social and cultural development, infrastructure improvements, a thriving economy, and an area of employment opportunities. For the accountancy and finance professional, there are more chances for CPD, career development and financial advancement. 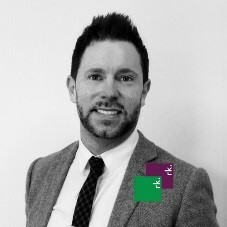 Something new is happening within the accountancy and finance sector within Blackburn: There is now a war for talent. Top professionals want to work here, and organisations are investing in their finance functions. If you are interested in how you could develop your career in Blackburn, or are interested in understanding how you can attract the best accountancy and finance talent, speak to our Blackburn and East Lancashire experts today. RK Group has been established in Lancashire since 1996 and at the heart of our business remain a team of dedicated consultants that simply recruit with the passion to build long-standing business relationships. Partnering closely with each business, we are here to ensure your opportunities reach the audience you require, in a way generic routes to market simply do not allow. The following consultants are specialist recruiters focused on both geographic areas and also role profiles, which is how they have established their reputations as market experts. Darren is the Office Manager and responsible for senior finance appointments throughout the commerce and industry market within East Lancashire. 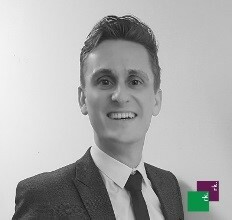 With over a decade’s experience in the arena of specialist financial recruitment, he is able to utilise established sector knowledge to guide, support and consult at the highest level on a local basis. With a clear understanding of the challenges you may face as a recruiter, he remains the “go-to” expert and key account manager for businesses seeking only the highest calibre candidates. 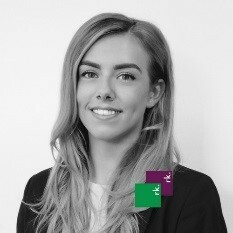 Phoebe has 5 years’ experience in recruitment, boasting a proven track record and “first time every time” mentality. 97% of permanent placements throughout finance remain in post after 18 months.As a dedicated consultant, Phoebe has placed every exclusive vacancy since 2013. Working throughout East Lancashire with a variety of Clients, this demonstrates her confidence in the ability to match the right candidate and provide long-term solutions to each of our clients’ needs.